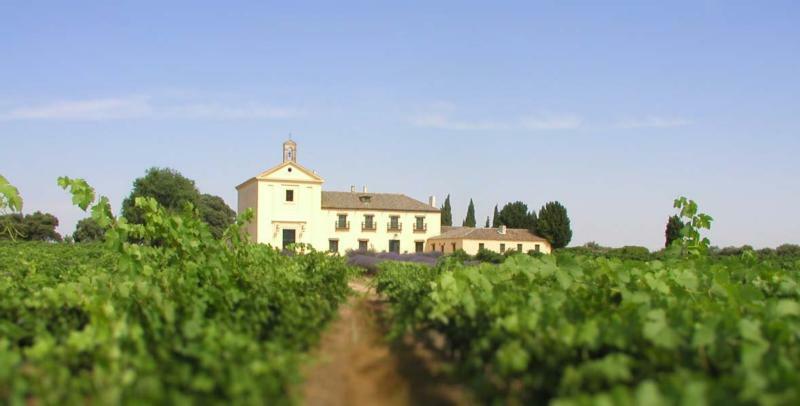 Marqués de Griñón wines are sourced from the prized Dominio de Valdepusa vineyard in Castilla-La Mancha. Valdepusa stands apart from the rest of the region, as its 1068-foot elevation is one of the highest in Spain, and its top layer of soil is similar to Burgundy's -- it is almost pure limestone. Dominio de Valdepusa has been in the noble family of Carlos Falcó Fernandez de Córdova, the Marquis of Griñon, since 1292. Referred to as the father of Spanish wine, Falcó pioneered the modernization of vine growing and winemaking in Spain. Falcó graduated from the University of California Davis with a degree in viticulture and oenology in 1964. He returned home and began making wine, all the while pushing the boundaries of winemaking as set by Francoist Spain. In 1974, he introduced the Cabernet Sauvignon and Merlot grape varieties as well as drip irrigation and night harvesting. Wine Advocate 91 "The deep purple-colored 2006 Cabernet Sauvignon emits an inviting aromatic array of sandalwood, a hint of clove and cinnamon, violets, incense, cassis, and blackberry. Savory on the palate with incipient complexity, it will continue to blossom with another 2-3 years of cellaring.